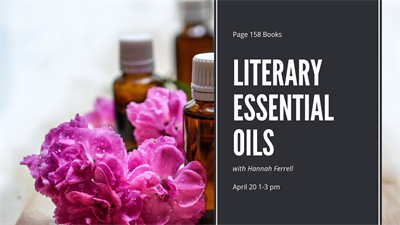 What if our favorite literary ladies had their own signature scent? And what if you could wear it too? Could you be be brave like Katniss Everdeen, confident like Elizabeth Bennet, or brilliant like Hermione Granger? Come out on April 20th and see + smell their signature scents and choose which one you'd like make. Costs $15.